We did not see the recovery in Killearn Lakes Plantation return as nicely as what occurred in Killearn Estates. The real estate graph on the right shows that distressed home sales increased in 2012, and the number of lis pendens filed over the past 12 months seems to ensure that this trend continues through 2013. 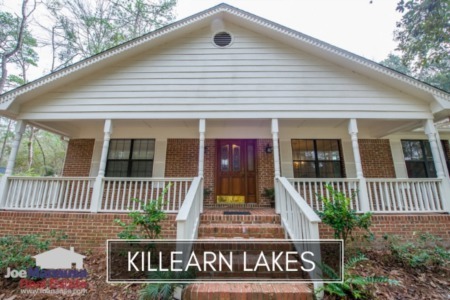 Currently, there are 43 homes for sale in Killearn Lakes Plantation in the Tallahassee MLS, and buyers have been drawn here due to the great values available. 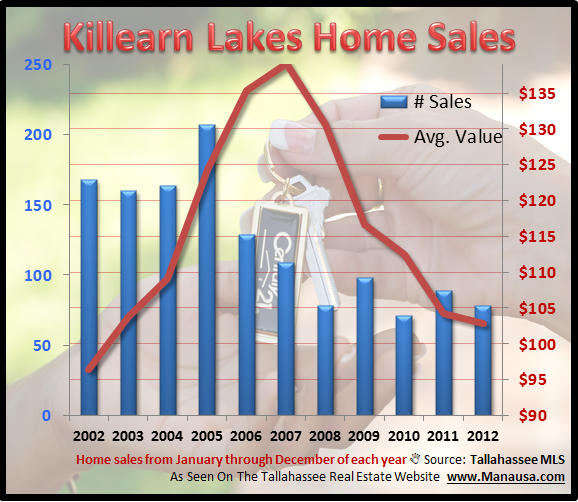 Home values declined 1.3% in 2012, which perhaps is the reason (sellers holding on for higher prices) that we did not see vigorous sales in Killearn Lakes Plantation in 2012. It is likely that we will see Killearn Lakes Plantation home values decline in 2013, though a flattening or slight rise could occur in banks slow the rate of distressed properties for sale coming onto the market. 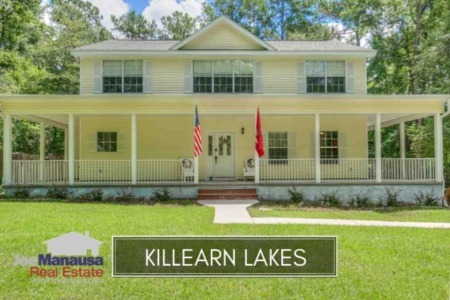 I hope you enjoyed our year end report on home sales in Killearn Lakes Plantation, please return again to find more Tallahassee neighborhood reports.